Home coupon , feature COUPONS: Coupon Denied!? I tried to use my free Riceworks coupon in the Loblaws grocery store today, and the cashier says they will not accept ANY printed coupons. I understand their dilemma, but now the companies issuing printed coupons, thinking to save printing and shipping costs - will have to go back to mailing out coupons. Bad marketing, because it causes angry consumers, who hold legitimate coupons. You recently hosted a survey on your site, offering a free bag of Riceworks chips for doing the survey. I was happy to fill out your survey and very interested in trying your product. I printed off the resulting gift voucher for one free package of Riceworks and looked in several stores here for your product. I checked Loblaws, Walmart, Zellars, A+P, Foodland - and could not find your product on the shelves. Finally, the Loblaws on Gibb Street, had a table near the frozen food, with your chips displayed, and I made sure to bring in my gift voucher the next time I went shopping. 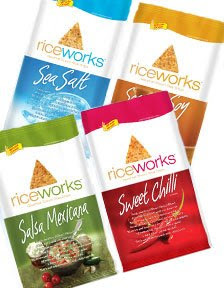 Imagine my dismay and embarrassment when I picked up a bag of your Riceworks chips and presented my coupon, and was told they would not accept it!? They said they no longer accept printed coupons because it was probably a fraud. I felt humiliated, standing there in line, in front of everyone. In good faith, I filled out your survey, printed out my coupon and attempted to purchase your product. I didn't do anything wrong. But I walked out, unable to try your product, as promised by your website. I can certainly understand the cost savings for a company to have customers print out their own coupons, and I personally have no problem with that. But, if no store is going to accept the printed coupon, well, I just think that is bad business. It leads to angry consumers, and the store clerk is stuck in the middle, of having to explain why the coupon is denied. Perhaps you should take this into consideration, in any future promotions of your product? ummm...this is nothing new. for the people who have been able to use printable coupons, they are lucky. writing to the compnay may or may not help you, I have been dealing with this for years and refuse to use printed coupons and now with all the 'cheaters' who use printed AND internet coupons together, well...that just is going to ruin alot for us true and real coupners. the reason you were rejected is, as I have found throughout the years is simple...it's not the corporate decision (as I worked retail through store management for 20 yrs), it is at the sole discretion of the individual stores. Corporate can say anything they want, manufacturers can say anything they want, but the bottom line is that it is at the sole discretion of the individual store. If you're an internet printer coupon user, stick with the stores that you know who DO honor these and save regular coupons for the other stores. Stores around here are the same way about printed coupons. Walmart only takes them if you push the issue by showing them the policy from their website about coupons, I usually print the policy out everytime I go to use coupons from online, so that the date would be current.